At Gift Brazil, we aim to make genuine Brazilian artisan art and craft available to the world. This means that our team is always on the road, all over Brazil meeting with artisans and encouraging them to join our collective. 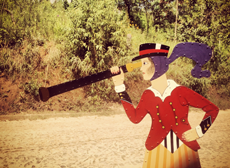 Recently we were up in the extreme north of Brazil in Belém. Then we went to the extreme west of the country in the Pantanal, the largest tropical wetland in the entire world – very close to the border with Bolivia. Some of the artisans we meet are in very remote places, but we don’t have many requirements for including someone in the collective – the main requirement is that they are producing interesting products that we would like to showcase online! Sometimes, we meet artisans that produce great work, but we just cannot include them in the Gift Brazil collective because they don’t use email or other basic technologies. All orders are received at our base in São Paulo where we pass on the order to an artisan wherever they are located in the country. Then it’s up to the artisan to produce the item, package it, and post it direct to the customer. This process doesn’t need a lot of technology, but it does need an ability to access the Internet – email at the very least. We have worked in some very remote places where there is no problem at all. Artisans will use their phones to take pictures of work and then Facebook to send the images to us for inclusion on the site. On some occasions we have found great artisans that don’t use the Internet, but they have partnered up with others who are online, so Gift Brazil has encouraged technology partnerships and training through a buddy system. It’s our intention to eventually develop this process into a national plan as a part of the Gift Brazil digital education plan. But for now, there are a few artisans we just have to admire, but not work with. Many remote artisans can at least get to a phone or an email link, but where we just can’t reach out to them at all, it’s not possible at present to include them in our family of crafters. 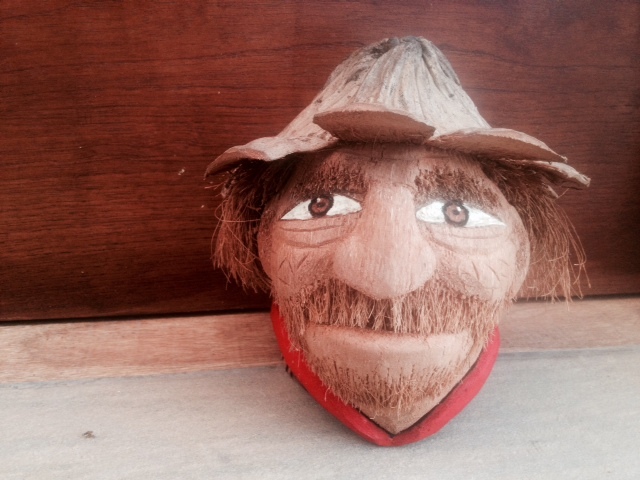 Image: Coconut sculpture by Carols Mota from Belém, Pará.